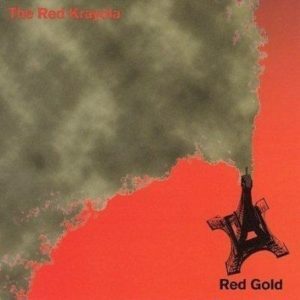 This here be a guide to the recorded music of The Red Crayola/Red Krayola — abbreviated as RC or RK. Releases are arranged chronologically by recording date (not release date), broken up into rough “eras”. The groupings correspond to major shifts in the geographic location of the band. A legend is provided, as are recording credits, where available. 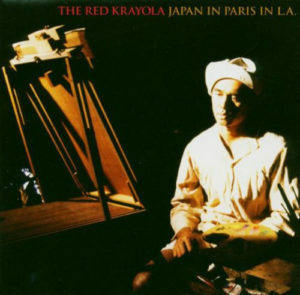 The Red Crayola (sometimes spelled “The Red Krayola”) are an exceptionally long-lived rock band. Their origins were in the psychedelic mid-/late-1960s, formed in Texas by university students engaged with the burgeoning countercultural movement. 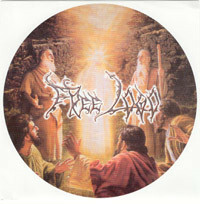 The band broke up and reformed, and then effectively dissolved by the end of the 1960s. 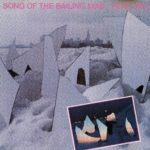 But Mayo Thompson, who worked in the visual arts (he was an assistant to Robert Rauschenberg) and also dabbled with a solo career, resurrected the band name in the mid-1970s. For about fifty years Thompson continued the band in various incarnations across different continents. In the later 70s and through all of the 80s, the band was based out of Europe, then returned to the United states permanently in the early 90s. The always band fit into the musical “underground”, and was never about commercial success. Mayo Thompson endorsed one critic’s description of the band’s music as “not practical”. Actually, the band’s political outlook became explicitly leftist/communist. But they tended to rely on wacky, dadaist humor and “performance art” techniques, eschewing virtuoso performance. The band frequently emphasized equal sharing of credit, regardless of contributions, so many releases intentionally do not credit individual songwriters, or even which musicians appear on which songs playing which instruments (a practice that ended only with Introduction in 2006). This was part of an over-arching inclusionist sensibility. This is a very incomplete list of performers who have appeared on Red Krayola recordings, generally limited to those who have appeared on multiple recordings. Formed in Houston, Texas by Mayo Thompson and Frederick Barthelme as a quintet, the band eventually coalesced as a trio with Steve Cunningham. The band members were fellow students at the University of St. Thomas, but really came together after Thompson completed his studies and had returned from a trip to Europe. A loose collection of auxiliary musicians were billed as “The Familiar Ugly”. The music of this period maps out the band’s basic raison d’être and a number of the musical techniques they would use throughout their existence. Barthelme left the group before recording what would become their second-released album. The band fit into the psychedelic garage rock scene, albeit at the far-out fringes. Music from this period tends to have the most precedent, or at least sounds vaguely connected to a countercultural “movement” of vaguely like-minded cohorts. 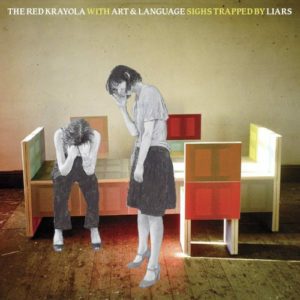 They changed the spelling of their original name “Red Crayola” to “Red Krayola” after a threatened lawsuit by a certain crayon manufacturer — spurious, but not the sort of legal fight an indie band could undertake, and one their small record label had no interest in. 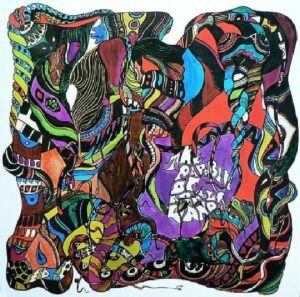 Review: An album of noisy psychedelic rock that tries to go to the limits of what was possible for a rock group at the time. There are songs interspersed with free-form freakouts. Some of the former feature contributions from label-mates The 13th Floor Elevators. The latter feature friends and fans in the studio banging on things and making noise by any means necessary. 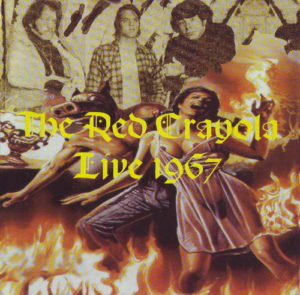 There was no question that The Red Crayola was part for the burgeoning counter-culture. 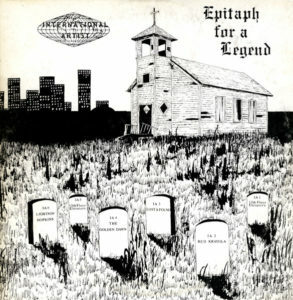 While many consider The Parable of Arable Land to be the most essential Red Crayola album, this writer considers it one of their lesser recordings, from before they had developed their own unique style. There is an element of “performance art” to this, which is a quality that would stick with the band for decades to come. But in spite of the cathartic nature of the free-form freakouts, they are not listenable at all. 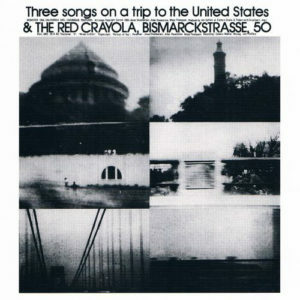 The Red Crayola would on numerous occasions release recordings that made conceptual “artistic” statements that offer no incentive for listeners to actually hear them. But, frankly, even the psychedelic rock songs here are kind of muddled and pale next to much other psychedelic rock of the day. And on top of that, this music is open to the same sort of criticisms embedded in Michelangelo Antonioni‘s (commercial flop) film about the “New Left,” Zabriski Point. Consider this an inauspicious debut that provides only a few clues as to what was in store later — and also the most overrated album in the band’s discography. 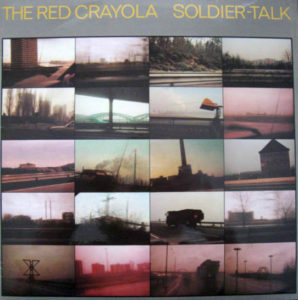 Relatively speaking, though, this remains the most well-known Red Crayola album. Review: The Red Crayola’s second album was recorded in 1967 but was rejected by their record label International Artists. It is somewhat understandable why. Unlike the debut, which had free-form freakouts but interspersed with noisy psychedelic rock “songs,” Coconut Hotel is “difficult” from top to bottom and has almost nothing to link it to “rock” music as such. This has much more in common with avant-garde modern classical (think John Cage, Karlheinz Stockhausen, Technical Space Composer’s Crew, etc.) and free jazz (think Sun Ra‘s contemporaneous Strange Strings). Even Red Crayola fans sometimes balk at this as being too abstract and conceptual, lamenting that it lacks “songs.” But that presupposes the necessity of “songs” and limits the band to a tiny niche. This music certainly is not for everyone, especially the faint hearted — as if anything in the Red Crayola’s catalog is. 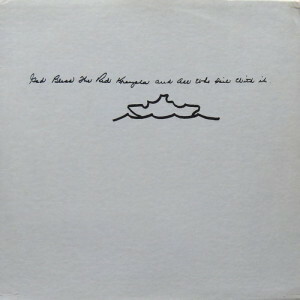 Nearly 30 years after being shelved the album was eventually released by the Drag City label. Not something to listen to often, but actually pretty good for what it is. Review: Kurt von Meier, a professor of Art History at UCLA, heard unreleased tapes of Coconut Hotel, which spurred him to try to get RC booked at the historic Monterey International Pop Festival (immortalized in D.A. Pennnebaker‘s Monterey Pop documentary) but to no avail. 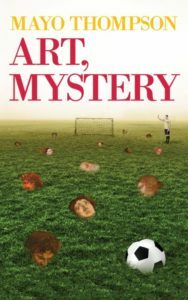 But von Meier was instead able to get RC booked at the Angry Arts Festival in L.A. and the Berkeley Folk Festival at UC-Berkeley. The recordings from those live appearances, in the “summer of love”, make up this archival set, released more than thirty years after the concerts took place. For the most part, this music bears no resemblance to The Parable of Arable Land and instead is mostly experimental music along the lines of Coconut Hotel and Fluxus-style performance art-music, with occasional hints of folk music (vaguely like Henry Flint & The Insurrections in snippets). Following their Berkeley Folk Festival appearance together, John Fahey invited the RC to open for him at the New Orleans House, where the manager paid them $10 to stop playing. Fahey and RC also recorded four master tapes at Sierra Sound studios in Berkeley around this time, but the tapes were demanded by International Artists in exchange for tickets for the RC to travel back to Texas and International Artists proceeded to lose the tapes. Mayo Thompson has frequently expressed his admiration for Fahey, and some of Fahey’s weirder contemporaneous work (Guitar Vol. 4 (The Great San Bernardino Birthday Party and Other Excursions), The Voice of the Turtle) does find some common ground with RC of the day. On the whole, Live 1967 is hardly the RC album fans will reach for the most often. Coconut Hotel is a better place to start for this kind of music. Still, this live collection is proof that RC actually did try to “tour” this sort of music — spectacularly unsuccessfully, because they were just too weird for the counterculture! Review: God Bless takes the musical montage style of The Mother of Invention‘s Freak Out!, which was notably picked up immediately by the Brazilian Tropicália movement (Rogério Duprat, etc. ), and fully develops it. 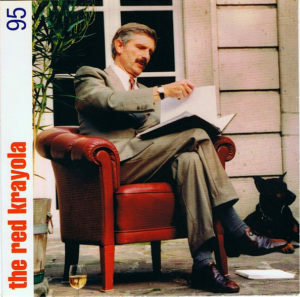 This is the most important Red Krayola album. 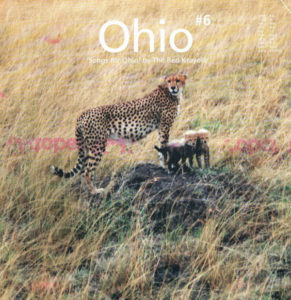 It was the second album actually released by the group, now operating under the Red Krayola spelling (with a “K”). The music is humorous and completely insolent. It is also self-reflexive and always seems aware of being a musical commodity. But most significantly this adopts musical elements for purposes that are often completely contrary to their usual purpose. Typically that means using kitschy musical banalities both ironically and unironically at the same time, to highlight (and undermine) the hidden and implied meaning usually ascribed to those banalities but also to obtain simple pleasures from the melodies, harmonies and rhythms. See Peter Sloterdijk, Kritik der zynischen Vernunft [Critique of Cynical Reason] (1983). Mayo Thompson moved to New York City around 1971 or 72, traveling often, around the United States, Europe (Paris in particular) and Israel. He began working for Robert Rauschenberg around 1973 (Thompson and his future wife Christine worked on the unreleased film Mostly About Rauschenberg in this period). He was spurred back into music around that time by the Art & Language art collective, having met some members (Michael Baldwin and Philip Pilkington) when they traveled to a conference in New York, and already being familiar with the collective’s journal Art-Language. 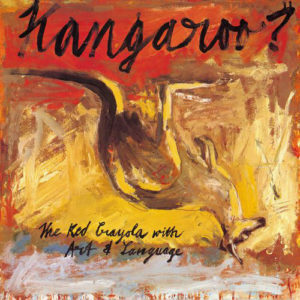 Art & Language would collaborate with The Red Crayola many times through the years, usually by providing texts that were worked into music by The Red Crayola. Class-conscious Marxist-Leninist politics became a more pronounced aspect of the music in this period. There was humor at work, but mostly a very unconventional, militant, political kind of humor that some listeners probably won’t even regard as “humor” as such. 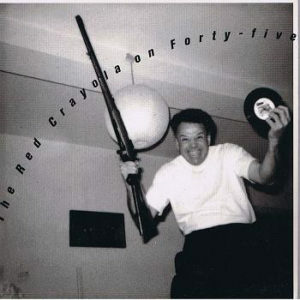 During this period the band was a duo of Thomson and drummer Jesse Chamberlain, but wasn’t explicitly using the name “Red Crayola” — though after the fact the Red Crayola name was attached to much of this work. 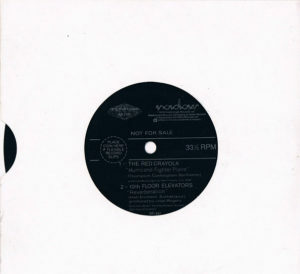 Review: The Red Krayola had basically disbanded at the end of the 1960s. 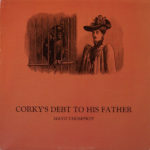 Mayo Thompson released a solo album Corky’s Debt to His Father and then worked mostly in the visual art world. He met some members of the British Art & Language collective who traveled to New York, and interest in a collaborative musical project developed. The result was Corrected Slogans. Recorded partly in New York City and partly in London, and with some funding from Robert Rauschenberg, this bridges two eras of RK’s existence. Actually, this was originally credited only to Art & Language, with no mention of Thompson’s involvement, though reissues added a Red Crayola credit. The two units would go on to collaborate many times over many decades. This also marked a turn toward explicitly political lyrical content of an unmistakably leftist slant. Basically these are sung/spoken socialist monologues set to music in a tongue-in-cheek way. It establishes the basic format for most of the RK/Art & Language collaborations: serious (and non-musical) political texts that are performed in an ironic way, not to mock them, but to combine them with “light entertainment” values. This first effort is very minimalist, almost in a coffeehouse singer/songwriter kind of way. Review: Basically a video counterpart to Corrected Slogans, with unrehearsed, spontaneous performances and mostly ironically deadpan recitations of communist/Marxist tracts. This video is worthwhile to understand how the performers were linked to art/museum culture, and to provide further visual elements to understand the musical technique. 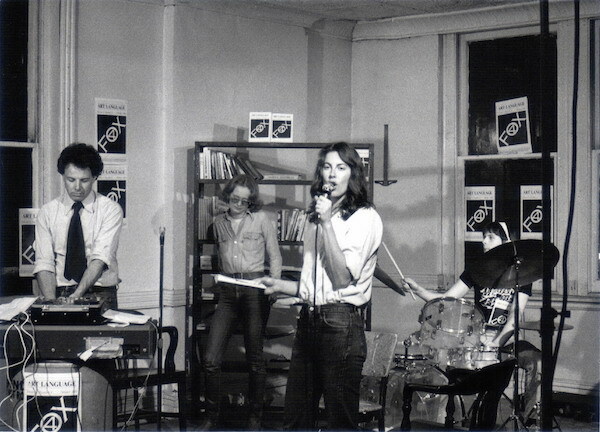 Frankly, some of the RC performances in the short film are more interesting than on the Corrected Slogans album. Review: The RC participated in a video project by Zoran Popovic, that has been screened a few times but otherwise seems to be unavailable. In the still from the film reproduced above can be seen Mayo and Jesse of The RC with future filmmaker Kathryn Bigelow. Just to illustrate how much artists’ perspectives can diverge over time, while The RC kept on with their leftist music indefinitely, Bigelow became an example of an ex-leftist making Hollywood films that offered apologetics and propaganda for U.S. imperialist crimes (compare her Zero Dark Thirty to Seymour M. Hersh’s true account in the London Review of Books). A partial explanation might be that in grad school Bigelow came under the sway of the anti-left neoliberalism of Michel Foucault, while The RC avoided that taint. 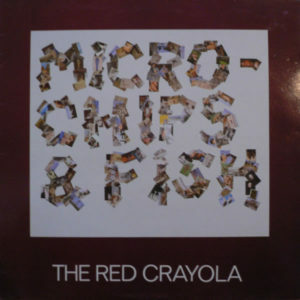 The original “Red Crayola” name was formally revived by Mayo Thompson, who relocated to the UK in 1977. Numerous important connections developed during this period. Thompson connected with the Rough Trade record label and music shop, which was a haven for musicians with inclinations to leftist politics, and operated with a cooperative business model. 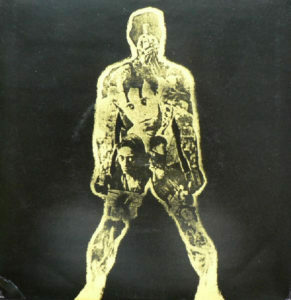 Thompson produced or co-produced a number of well regarded albums for the Rough Trade label, like Grotesque (After the Gramme) and Inflammable Materials. Red Crayola lineups from this era drew from the talents of musicians in various Rough Trade acts like Swell Maps, Essential Logic and The Raincoats. 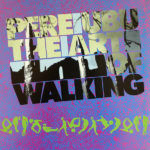 Another key connection was to Cleveland’s Pere Ubu, who played on The Red Crayola’s full-length comeback album Soldier-Talk. Thompson would go on to join Pere Ubu for a period of time in the early 80s. By the late 80s, Thompson had relocated to Germany. There he met Albert Oehlen, who would work with RC in various capacities for decades to come, and whose input often led to weirder more abstract electronic elements in the music. Review: Practically a note-for-note studio recreation of the live single originally intended for release two years earlier. 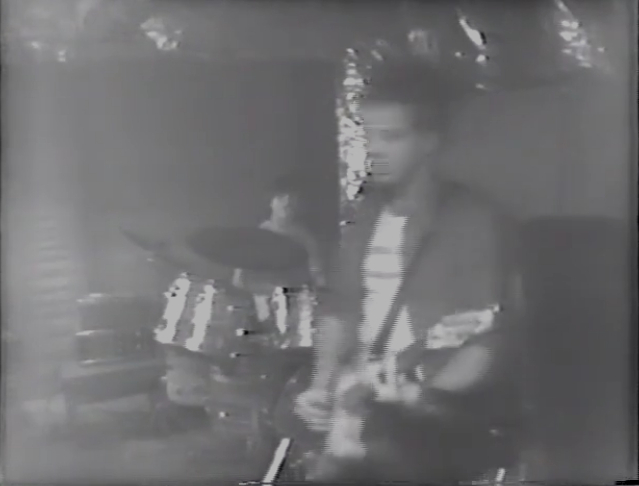 But actually this studio version is slightly worse, because the rhythms are choppy and the band seems somewhat unsure of itself, especially on “Wives in Orbit.” This was the first instance of a Red Crayola single having a better B-side than A-side, which would become the norm in the 1990s. It bears mentioning that RC wasn’t a “singles” band anyway. While this was omitted from the Singles compilation, with the unreleased live versions of the songs included instead, listeners aren’t really missing much if they have already heard the live versions. Review: The first new album under the Red Crayola name (now back to the spelling with a “C”) in more than a decade finds Mayo Thompson backed by Pere Ubu. This is dissonant, punky stuff, with lyrics exploring militarism and only the occasional melodic run. 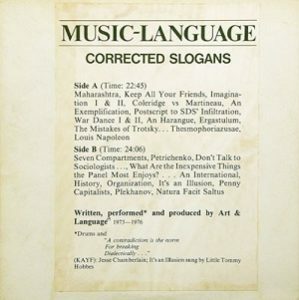 In a way, this is a more musically expansive take on the politically-charged music of Corrected Slogans, adapted to the punk era and focused more narrowly on militarism than politics and economics generally. These are studio recordings, but they are rough enough to almost seem live. Thompson had complete creative control. At times, it seems like an outside producer paying more attention to the production values might have helped. This is a good one, though it can also make for difficult listening. But RC always demanded a bit more from listeners. This is one likely to enjoyed the most by listeners who are already on board with RC’s modus operandi. Review: The influence of new collaborators from the Rough Trade scene makes a big impact on Micro-Chips & Fish. Epic Soundtracks from the band Swell Maps, Lora Logic from X-Ray Spex and Essential Logic, and Gina Birch from The Raincoats provide substantial contributions. This is one of the great RC releases, seamlessly fusing angular punk noise, sleek rhythms, skronky jazz, and dadaist humor. This comes across as an amalgamation of all the best achievements of the participants’ other bands. Review: Intended as a kind of fleshed-out version of Corrected Slogans, using musicians from the Rough Trade scene who had joined The RC. 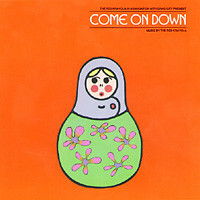 A number of the songs are re-recorded versions of ones from Corrected Slogans. It might be more difficult to appreciate in the post-cold war era, but back in the early 1980s it was still rather provocative to make a pop record about Soviet communism. Corrected Slogans was always meant to appear provocative, but Kangaroo? maybe isn’t so obviously political. Anyway, this is without a doubt the band’s finest full-length album of the era. It helps that this lineup of the band is kind of an underground “supergroup”. There are electronic effects from one or both of Allen Ravenstine and Epic Soundtracks. Lora Logic adds superb saxophone. There is also a heavy emphasis on bass. 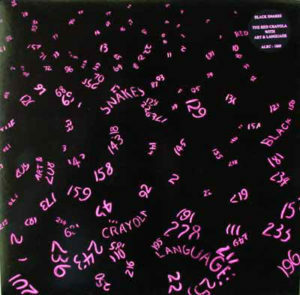 This ends up being one of the very best RC albums, and probably the very best of the collaborations with Art & Language. Listeners attuned to the punk and Rough Trade scenes might well start here (or perhaps with Singles). Review: Like some other bands emerging, phoenix-like, from the ashes of the UK punk scene (Au Pairs, Magazine, Gang of Four), The Red Crayola adopted a jazzy, funky pop sound in the early 1980s. Their sound came close (“Black Snakes”) to a poppier version of jazz iconoclast Ornette Coleman‘s Prime Time band of the day — some of this could almost pass for Ornette-inspired no-wavers James White & The Blacks. (Mayo Thompson had actually co-produced an album by Ornette associate James “Blood” Ulmer). The electric bass is prominent in laying down catchy vamps, and the wailing horns and guitar are grounded and kept in check by definite song structure. There are a few older songs re-recorded here (“Ratman, the Weightwatcher,” “A Portrait of V.I. 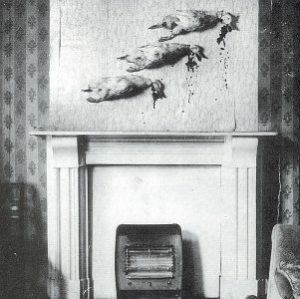 Lenin in the Style of Jackson Pollock, Part 1”). Anyone who likes Kangaroo?, Micro-Chips & Fish, “Born in Flames” and that sort of stuff will probably like this too — and this is probably more accessible than those other releases from the UK era. Review: An album split between one side of new songs recorded in a studio, and another side from a live show. Mayo Thompson had joined the band Pere Ubu in the early 1980s, after they played on Soldier-Talk, and Ubu’s Allen Ravenstine had also joined The Red Crayola for a period of years. This album relies on a very Ubu-like sound. The new songs have an angular, punky edge (slightly more subdued than on Soldier-Talk), and the live songs are all good. 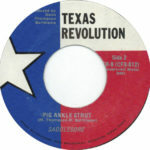 Many of the live cuts best earlier released versions. “Wives in Orbit” benefits from Ravenstine’s way ahead of their time electronics and strong vocals from Thompson. “Ergastulum” (originally on Corrected Slogans) is an explanation of mathematical variables used in economics and argument about their relationships, performed in a crowd-pleasing manner (!). 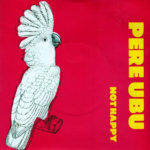 “Caribbean Postcard” is an ominous, industrial kind of song that subverts the typical “fun in the sun” vibe typical of most songs with a name like that. The live tracks have a lighter, more humorous quality than the studio cuts, and reach out to connect with the audience, which provides a nice balance. In all, this album is a good one to explore for listeners already familiar with other recordings of the UK years, or for anyone whose interests lean toward punk. Review: Baby and Child Care was recorded in 1984, but not commercially released until more than three decades later — for good reason. The instrumental music continues in the same vein as Black Snakes but more listlessly. The words are read from a later edition of Dr. Benjamin Spock‘s famous book The Common Sense Book of Baby and Child Care, a manual for parents that combined aspects of psychoanalysis with more hands-on and physiology-oriented pediatric care. By way of context, Spock’s reliance on psychoanalysis was meant to introduce more permissive and less dogmatically rigid (if not entirely arbitrary) pediatric child-care methods, and for that reason some conservative critics pointed (disapprovingly) to his book as encouraging the rise of the 1960s counterculture — of which The Red Crayola were a part! The conservative critics might, in a self-serving way, be correct. Vladimir Ulyanov (AKA Lenin) as a child was running around his house playing and a visiting teacher could not carry on a conversation with his mother Maria. His mother told the teacher, “Children are supposed to scream.” The Red Crayola made numerous musical tributes to Lenin and people like him. So this all fits together. Anyway, if you have ever heard the saying that a singer would sound good even if he or she sang the phone book, well, this album is a rather literal take on a similar idea, without the charismatic vocals. Baby & Child Care is mildly interesting on paper, as a concept, but actually listening should be considered unessential. 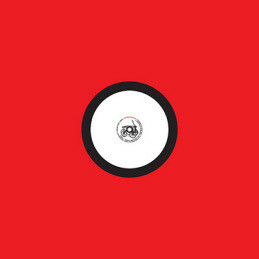 This is one of the weakest collaborative Red Crayola with Art & Language releases. 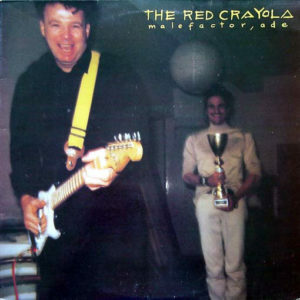 Review: Malefactor, Ade is something of a black sheep album in the Red Crayola discography. It is the first recording to pair Mayo Thompson with visual artist Albert Oehlen, who would continue to work with the band for many years to come. This album marked a decisive shift away from the punk-influenced sound of the UK years. This is a difficult album. 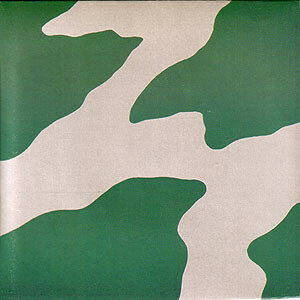 But unlike the harsh noise that made something like Soldier-Talk difficult, or the monotone non-musical texts that made some of the Art & Language collaborations difficult, this more overtly references “performance art” techniques and has a very minimalist feel. In a way, this is difficult because it leaves gaps for the listener to fill in, using rather non-musical sounds strung together in a way that challenges the listener to accept the musical and non-musical on roughly the same level. Listeners familiar with the likes of Laurie Anderson or the so-called “Rock in Opposition” bands will probably understand this style of music. 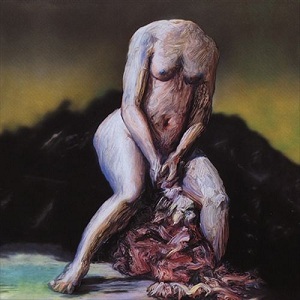 In any event, this album marked a break from prior releases and started to transition to the “post-rock” style of the 1990s incarnation of the band. Review: A transitional piece that combines the raw abstractions of Malefactor, Ade with the more rock-oriented style of the coming years. Unfortunately, these tracks retain the weaknesses but none of the strengths of either period. The satirical “Your Body Is Hot” is mildly amusing. 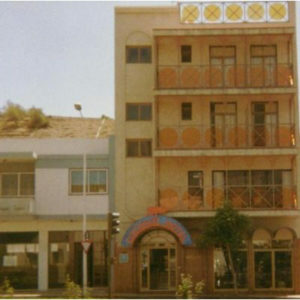 Thompson relocated back to the United States, and became an art teacher at ArtCenter College of Design in Pasadena, California. 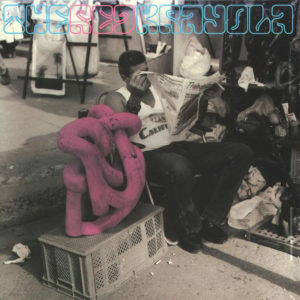 The Red Krayola (back to being spelled with a “K”) reformed with musicians drawn from Chicago’s “post-rock” scene. The band was now on the Drag City label, which also reissued back catalog titles and did a lot to make RC recordings available. This period marked an expansion of the sorts of ideas RC had employed in the past. This was a period of fairly consistently productive recording. Review: The A-side is forgettable, but the B-side “Stink Program” is a great tune with some of the rock drive of the eponymous The Red Krayola album and the mashup sensibility of Hazel. In a way, the song is a template for the best of what was to come from the re-formed 1990s lineup of the band. 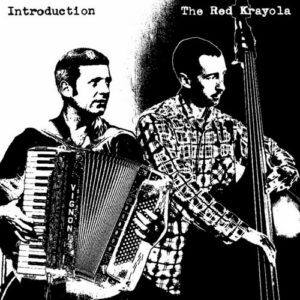 Review: The self-titled The Red Krayola was a great return to form. The first album from the new line-up chock full of Chicago musicians, this had more of a “rock” sound than anything the band had released in more than a decade. And the rhythms were more linear and driving, relatively speaking, with guitar playing that isn’t too far away from grunge/college rock of the day. There still are weird experiments and all that. 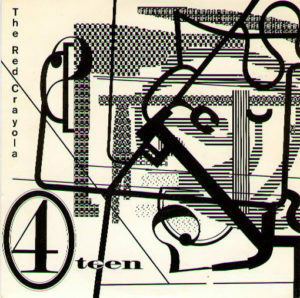 But amazingly, RK has adapted yet again to the musical terrain of a new decade while retaining their own unique sensibility. This is one of the band’s albums with the most re-playability, and is up there with their very best. Review: Throwaway track (most likely an outtake from The Red Krayola) on a various artists compilation. This mostly instrumental song probably should have been titled “Denny’s Drums pt. II / Columbia” because it opens with an excessively long and pointless drum solo. Though it does pick up after the drum solo. Review: This EP exists sort of halfway between The Red Krayola and Hazel — a transitional effort if you will. That could be seen as an advantage or disadvantage. There are more elaborate productions and there is less reliance on “rock” forms than the last album, but there is also more reliance on conventional and “sincere” song form than on the next one. There are plenty of good ideas here, but this can’t match the albums that bookend it. Review: The A-side is mostly forgettable (a trend with most of the 1990s singles), but the B-side is great. “Farewell to Arms” superficially seems to be a reference to the Ernest Hemingway novel, but, in characteristic RK fashion, ends up being a humorously literal tale of a guy who loses his arms (closer to the Lon Chaney film The Unknown, reworked as a comedy). 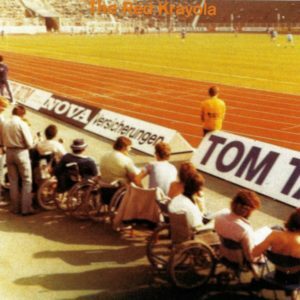 Review: The return-to-form The Red Krayola proved to be just an opening salvo from a revitalized band. 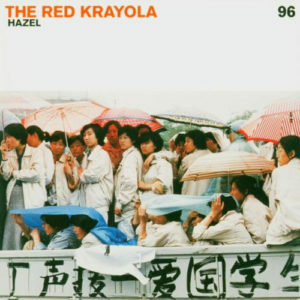 Hazel updates the approach of the band’s epochal God Bless the Red Krayola and All Who Sail With It, now with a poppy, easy listening/loungey veneer. 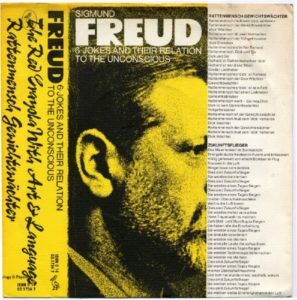 It is possible to draw a line from this album that connects back through the Brazilian Tropicália movement, to the photomontages of the Berlin Club Dada artist John Heartfield, and all the way to the ancient philosopher Diogenes of Sinope. In a famous anecdote retold by Plutarch, a young Alexander the Great visited Diogenes, who was lying in the sun, and asked Diogenes if he wanted anything. He replied, “Yes, stand a little out of my sun.” It is that same banal ridicule of power that Red Krayola offer up again here. 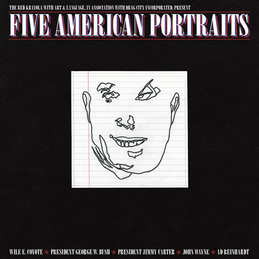 They draw from an array of musical sources in a way that is both reverent and irreverent at the same time, with an affinity for the use of “kitsch” and things considered “lowbrow” or in “bad taste” in a way that lazily and idolently subverts the very basis for the enforcement of such distinctions (typically as an exertion of social power). The recording process used something like the Surrealist “exquisite corpse” technique, by which performers would independently and sequentially contribute bits to build up the finished songs in a somewhat arbitrary way filled with non-sequiturs. 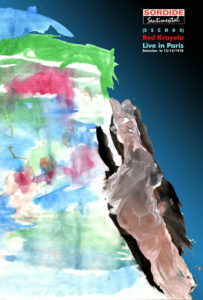 Review: A weird compilation put together by Albert Oehlen, under his alias Wendy Gondoln. Many of the old recordings are remixed for this release, and there are a few previously unreleased songs too. Review: On paper, the concept behind Fingerpainting is rather clear: an update on the band’s debut The Parable of Arable Land for the electronic era. There is the same alternating song/freeform freakout structure. For that matter, this also mines the archives for outtake recordings from the Parable era. The “songs” are fairly open-ended though, and most of this ends up seeming rather noodling and strangely jammy — as much as an electronic album can be that way. Anyway, while this might seem slight at first listen, and something of a gimmick, this one actually grows on you. It works surprising well as “furniture music” of sorts. 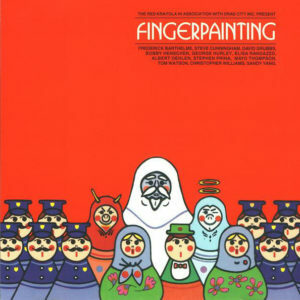 Review: A bonus track kept off the Fingerpainting album but included as a bonus disc with the original release. Not anything to seek out in particular. Review: Another really, really good one that sort of is the capstone on the “Chicago” period. Parts of this engage prog rock. There are more wonderful non-sequitur lyrics and a fairly odd division between very long and rather compact songs. In a way, this album takes the concepts of the 1990s albums, recognizes that the band has already tackled those things, then goes just a bit further out to stretch the old concepts into new territory. Review: Contains a radio edit and a remix of a song from the Amor and Language sessions. Unessential. 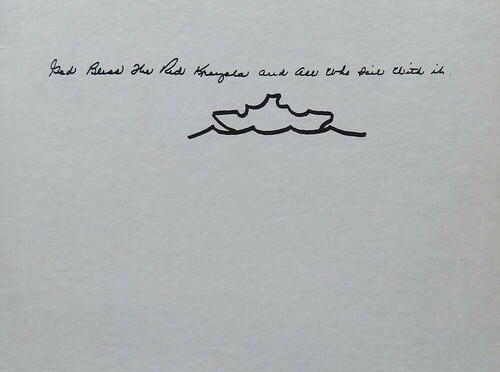 Mayo Thompson continued to work as an art teacher until 2008, and in the later years The Red Krayola drew new members from the ranks of his students. Thompson was getting older, and frequently handed off vocal duties to other singers. This period is marked by inconsistent recordings — there is excellent stuff here, mixed in with other stuff that is trivial or kind of a performance art stunt for which actually listening is a chore. Review: The album title seems like a joke, an “introduction” to a band in existence for decades. But the title is accurate in the sense that Introduction samples a variety of styles the band has employed through the years. It also ends up being fairly easygoing as RK albums go. This might be a place to dip a toe in the water for indie rock fans skeptical of the band’s more overtly experimental offerings. Whatever this lacks in terms of “innovation” it more than makes up in solid and varied songwriting and performance, without sacrificing the trademark RK wit and zaniness. 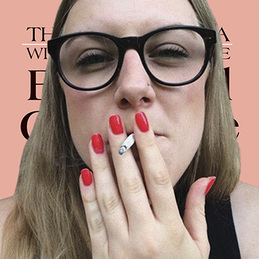 Review: Honestly, one of the very worst Red Krayola albums. This EP just kind of drifts by. The songs are basically rejects from Introduction. Pass. Review: An album that fits into the mold of “indie rock” more than any of their other releases, having Elisa Randazzo and Sandy Yang handle the vocals in a pleasantly warbled style. This combines some of the loose, jam-session qualities of Fingerpainting with the spontaneous/surrealist lounge pop of Hazel. It has to be said this approach is more accessible than usual, considering how close some of the vocals sound to things as mainstream as, say, the music sung by characters on the TV cartoon show Adventure Time With Finn and Jake (2010-18); though it is worth keeping in mind that this approach had been in use since 1976’s Corrected Slogans. While it might be hard to choose between this and Introduction as the best of the later years, there is really no question that those two albums are by far the best ones of the later years. 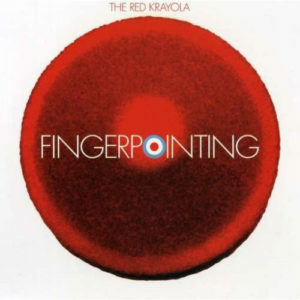 Review: Fingerpointing is an alternate mix of the same material that made up Fingerpainting nearly a decade prior. Based on interviews Mayo Thompson has given, it is possible that this was the first mix prepared (by Jim O’Rourke) and it was rejected by Thompson, though it isn’t at all clear that is the case. Anyhow, this lacks the sublime qualities of Fingerpainting and comes across as simply cluttered. 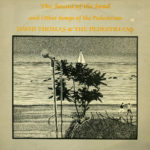 This one can safely be skipped, along with many other archival releases and oddities from the later years. Review: Similar to Corrected Slogans and Baby & Child Care in a way, but much more tedious. This is one of those “conceptual” works for which actually listening is entirely unnecessary. This is easily one of the worst RK albums. Micro-Chips and Fish, Kangaroo?, “Born in Flames”: Fanfare in the Garden: An Essential Logic Collection, A Trip to Marineville, The Raincoats, Entertainment!